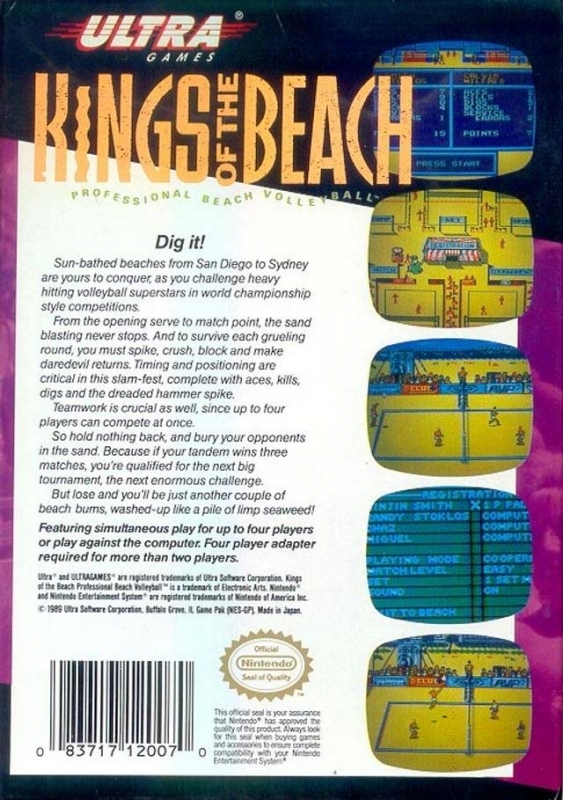 Sun-bathed beaches from San Diego to Sydney are yours to conquer, as you challenge heavy-hitting volleyball superstars in world championship style competitions. From the opening serve to match point, the sand-blasting never stops. And to survive each grueling round, you must spike, crush, block and make daredevil returns. Timing and positioning are critical in this slam-fest, complete with aces, kills, digs and the dreaded hammer spike. Teamwork is crucial as well, since up to four players can compete at once. So hold nothing back, and bury your opponents in the sand. Because if your tandem wins three matches, you're qualified for the next big tournament, the next enormous challenge. But lose and you'll be just another couple of beach bums, washed-up like a pile of seaweed!